Little did he know just how soon that “someday” would turn out to be. 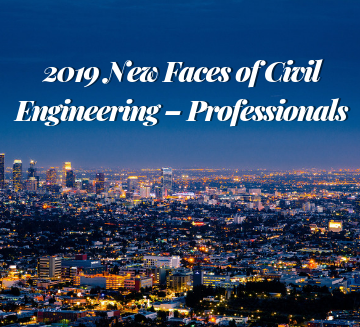 As a graduate student at Virginia Tech, Roy joined a team of researchers led by Tech professor and ASCE member Marc Edwards that uncovered what became known as the Flint (MI) Water Crisis, a remarkable feat of civil engineering environmental justice work. 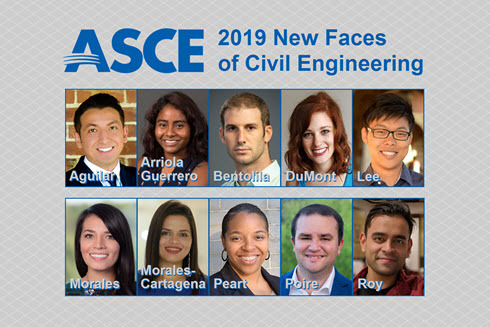 Roy has since continued to help protect communities’ access to clean water as a postdoctoral research associate, and ASCE has honored him as a 2019 New Face of Civil Engineering. 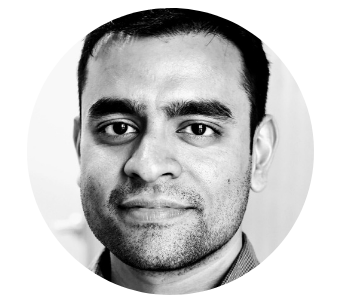 Roy’s story begins as a frustrated programmer analyst in Pune, India. He was on a track to career success, but beginning to suffer an existential crisis of sorts about how he defined success. It was an old project examining at the air quality in India’s metropolitan cities during his undergraduate years studying chemical engineering that convinced Roy to switch gears and focus on environmental engineering. Roy was three years into his studies with Edwards at Virginia Tech, working on corrosion research related to premature failures in drinking water infrastructure, when his Ph.D. work plans got suddenly upended. “LeeAnne Walters, a Flint resident and mom concerned about the health of her children, contacted Marc and they started testing in Flint,” Roy said. “Responding to the Flint emergency is undoubtedly one of the best things I’ve done in my life,” Roy said. The city’s drinking water, culled from the Flint River and not treated per federal law, was rife with lead. 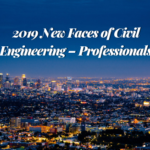 Roy found himself on the frontlines of arguably the biggest civil engineering story of the decade. “It’s a shame – civil servants at government agencies looked the other way and actively covered this thing up,” Roy said. “It fell upon residents and a research group – in this case, us – to work together and gather evidence to uncover the crisis. So, being a graduate student, having the right scientific expertise, being part of a group that had the resources and the discretionary funds to conduct citywide testing and the courage to challenge very powerful agents claiming Flint’s water was safe – it was a once-in-a-lifetime thing! I simply happened to be at the right place at the right time. While many might see the kind of impact the Virginia Tech team had in Flint as a career highlight or even an “all right, my work here is done” moment, Roy is just getting started. He completed his Ph.D. and re-upped with Edwards for a post-doc project to help conduct collaborative water quality investigations in communities around the United States. “We’re using the lessons from Flint to solidify what we are calling the Flint model of collaboration between residents and advocates and academics,” Roy said. “There is a lot of work that needs to be done, especially in poor and underserved cities and towns where people are leaving for better jobs in bigger cities. 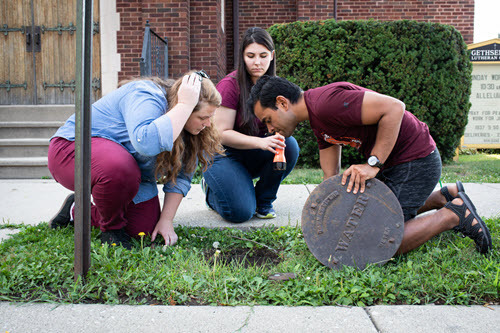 As a researcher and co-mentor to graduate students, Roy will be testing water and developing solutions near Chicago – the suburbs of Berwyn and Cicero, specifically – and in South Carolina during the next year. He takes the work very seriously. It’s exactly what he hoped to do when he arrived in the U.S. nearly a decade ago. “In terms of the mindset the Flint experience has inculcated in many on the team, including myself, I think I’m clearer on how I want to apply my skill sets in the future,” Roy said. “The Flint training has not been merely technical. It’s more of an ethical grounding of how to do your job well, even be the rare contrarian, if needed, for the greater good. Connect with Siddhartha on Linkedin.